The death of young Lumka Mkhethwa earlier this year at Luna Primary school in Bizana, Eastern Cape could have been prevented if the Department of Education prioritised the dire need for sufficient sanitation for schools after the death of 5 year old Michael Komape in Limpopo in 2014. 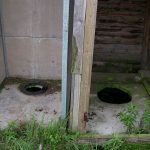 A judgment was ordered a few days ago instructing the Department of Basic Education in Limpopo to supply and install at each rural school equipped with pit latrines, a sufficient number of toilets that are easily accessible, safe and secure. This judgement, the Democratic Alliance believes, has a direct impact on the operation of the Department of Education in the Eastern Cape regarding the supply of clean, safe and healthy ablution facilities. The Department is said to prioritise 707 of these schools in their 10 year plan, which means that the remaining 2381 schools will continue to be neglected and the learners will still be at risk of health issues and even death. The initial timeframe for the eradication of insufficient sanitation in schools in the Eastern Cape was November 2020. The Department could not comply with this as stated in the response from the MEC highlighting its underperformance, maladministration and inability to provide our children with basic needs. There have been numerous learners who have experienced health issues due to improper sanitation but the Department was unable to supply a consolidated list relating to the learners who suffered health complications. Under a DA-led provincial government, every child would have an opportunity to learn in a safe, supportive environment. The Department of Education in the Eastern Cape is in need of Total Change. — Edmund van Vuuren MPL, Shadow MEC for Education.